Check out this great vintage ad for the rare FILA Jamball basketball shoe. Up for today's vintage ad feature is a fun old ad from 1994 for the FILA Jamball basketball shoe. Little information is out there about this rare shoe, but the "Cool Little Dude" may strike up a few memories for some of you. This ad definitely conjured up the "Hey, I remember those!" reaction when I first came across it. 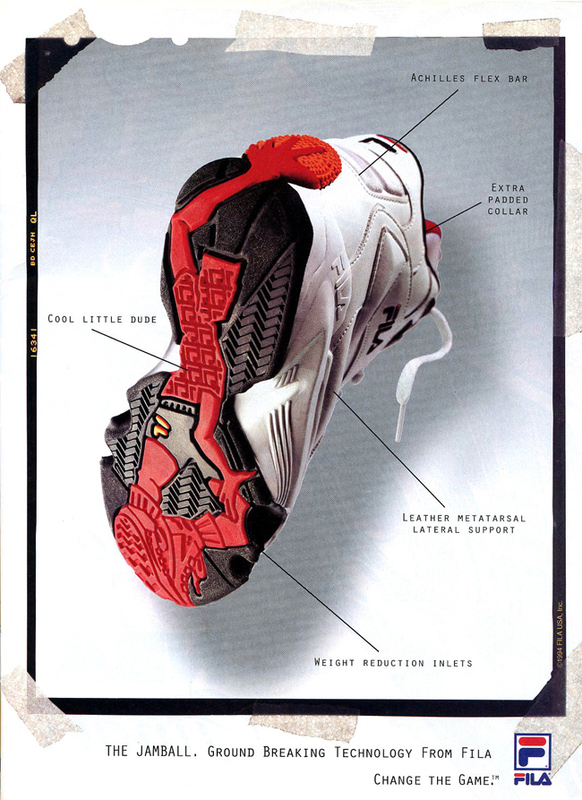 While we may be scratching our heads as to what the "Ground Breaking Technology" is on the Jamball, this is a nice ad to look back on for a unique shoe from FILA's heyday. If nothing else, they left a cool foot print!